Oriental Vegas – Macau lies on the western side of the Pearl River Delta across from Hong Kong, usually known as Portuguese Macau, was administered by the Portuguese Empire and its inheritor states from the mid-16th century until late 1999. 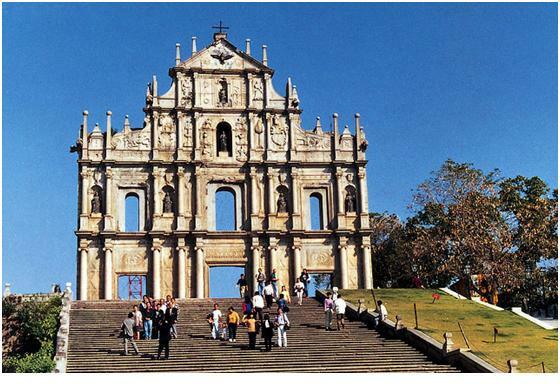 Macau is the perfect combination of authentic Portuguese inspiration and traditional Chinese Cantonese inheritor. The magic tiny area is one of the richest cities in the world and with the second highest life expectancy, along with the very high human development index as so few in Asian countries and cities. A considerable large number of highly prospective splendid universities and colleges located in Macau, such as University of Macau, University of Science and Technology and over 10 higher education institutes. An open-minded city welcomes all over the world.